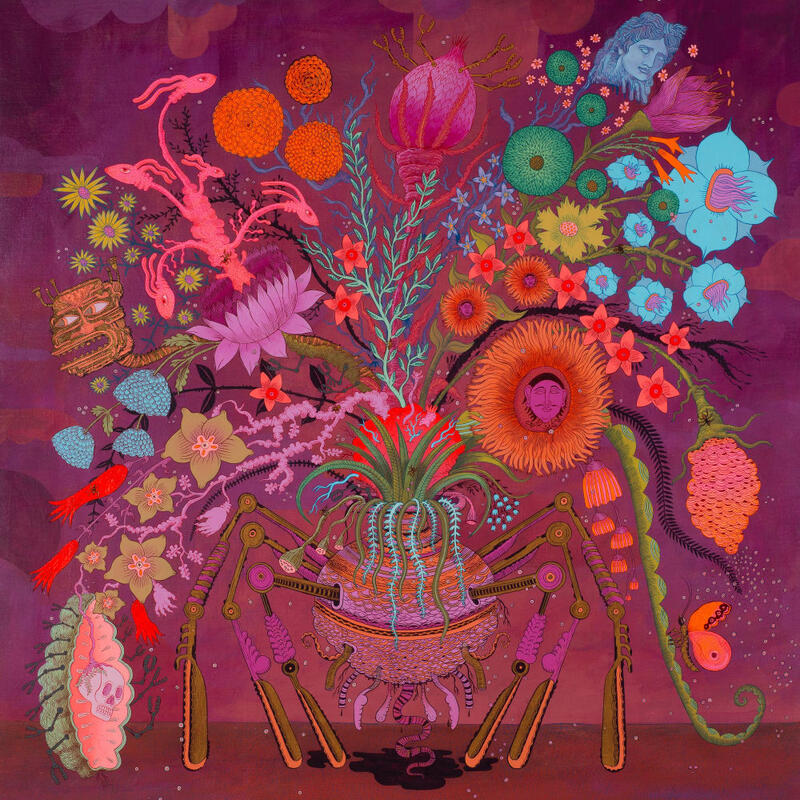 Envisioning a future in which technology is indistinguishable from life, Peter Hamlin blends fantasy and science in compositions that breathe with awareness and futuristic hybridity in vibrant color, synthetic layers and meticulous, delineated systems. In Hamlin’s imagined environments, nanopeople, robots, cyborg plants and curious otherworldly organisms coexist. The artist’s work explores how we adapt as a species, determine our future and prepare for what’s to come as technologies radically change how humans experience and interact with the world. The precision and exactitude with which Hamlin paints seduces the viewer with beauty and beckons one into his supernatural world. The artist was awarded an MFA in Painting at Lehman College, Bronx, NY and a BFA in Illustration from Art Center College of Design in Pasadena, CA. Hamlin lives and works in Brooklyn.